Most of us with vehicle ownership experience will know that changing light bulbs on a vehicle should be as easy as just removing the cover from the back of the light, and slotting a new one straight in; easy peasy right? Unfortunately not, some vehicles can become your nemesis when it comes to bulb changes. Who would of thought that a very few specially selected vehicle designers have a unique ambition in life to make headlight bulb changes one of the most frustrating, time consuming, expensive, hand-torturing maintenance process there possibly is to do on a car? The point is proven when last week you spent most of Sunday morning just removing the front bumper and 100,000 of those dreaded, rusty bottom engine cover bolts just to swap out some pesky little light bulbs! The voltage regulator is a critical piece of electrical equipment in a vehicle, they can usually be found attached to the side of alternators or mounted separately. In easy-to-understand terms, it limits the maximum amount of voltage that runs through the electrical system to a safe and usable amount for all components to utilise. 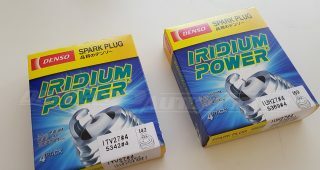 If the voltage regulator is intermittently having problems then it could definitely be the source of your bulb problems due to spikes of high voltage jumping through the system, which in-turn blow the bulb filaments and/or headlight fuses. You can perform a simple test to check if the voltage regulator is faulty, however you’ll need another person to help you rev the engine whilst you take a multimeter reading. Don’t use the symbol with a V and a squiggly line next to it, as that’s AC volts. Useful tip – think of the squiggly line as alternating current (AC) to remember this! Connect the red + (positive) multimeter test lead to your battery’s positive terminal. 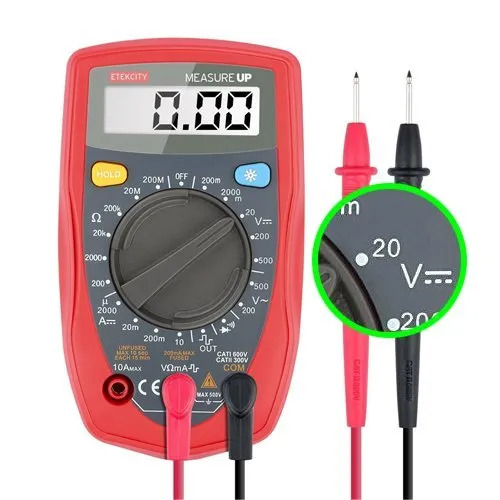 Then, connect the black – (negative) multimeter test lead to your battery’s negative terminal. Check the multimeter reading and jot it down, the voltage regulator should cap the amount to 14.5v. If the reading is over 14.5v then your voltage regulator is most definitely faulty. Another known problem in the same category is that some poorly manufactured alternator belts can cause power surges due to static build up. 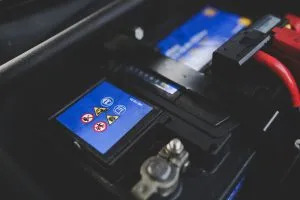 This problem can be found by performing the check above and hopefully fixed by replacing the alternator belt with a premium brand or by installing resistors to the low and high beam circuits which is a common ‘online forum’ notable fix. 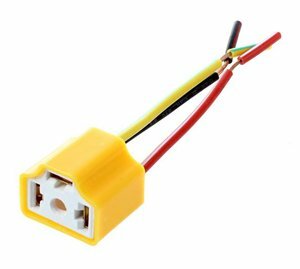 The problem is that the surge may also be the voltage regulator, so try replacing the regulator first to see if it fixes the problem. This can cause the current or ‘flow’ of electricity to contact intermittently on and off, this can in-turn cause an increase in heat. Temperatures that go beyond what the bulb is designed to cater for will easily cause the filament inside to blow. 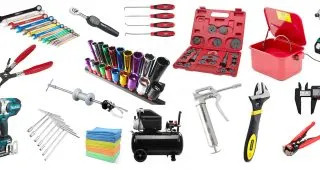 Vibrations in the headlight can also increase this problem, so check to make sure all headlight bolts are tight, that no headlight mounts are cracked and that the electrical connectors to the bulbs are secure. We recommend fitting new connectors to the bulb to completely eradicate them as the source of problems, especially if they look burnt, melted or show signs of corrosion inside. 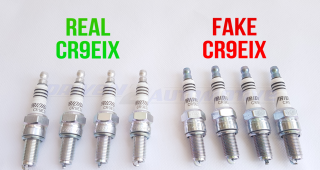 This one might sound like a bit of a cliché, however the truth is that dirt cheap bulbs are no where near the quality standards of high-end brands and this why we will never sell them. The wire filaments are usually made from a far thinner gauge of tungsten which can see them fail in a matter of hours. Vibrations are the most common cause of failure on cheap bulbs, and this combined with thin gauge wire results in easy failures, especially if there are voltage fluctuations going on with a dodgy regulator. It’s an obvious sign of household technology put into a car bulb, so failures are bound to happen easily, have you ever seen the wire wobble around inside a household bulb? Stick to a high quality German brand such as Osram, they’re available in our shop. 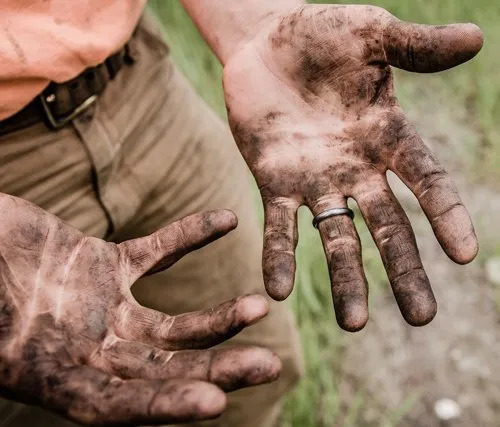 Halogen bulbs obviously get very hot during operation and the chances are that by the time you get to the stage of actually fitting the bulb, your hands look like this. 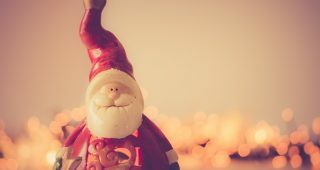 Bulbs need to heat evenly throughout the whole of the bulbs surface for optimum lifetime, leaving traces of dirt and grime or even the oil from your skin can sometimes cause uneven heating when the bulb is in use. In some extreme cases, dirt on the bulbs glass can cause a complete structural failure and they end up exploding! Use clean latex gloves and only try to touch the bulbs metal base when installing, this can be very tricky when sometimes they’re hard to position correctly with limited amounts of space. Vibration is not a good thing for halogen filaments, which is also another reason why Xenon HID bulbs excel on lifetime as they don’t have any! Check the bulb holders retaining spring is clipped in correctly and as said before, check the headlight is secured nice and tight. 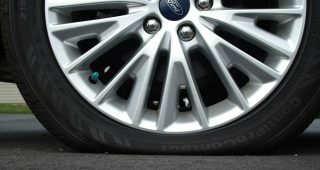 In extreme scenarios it may be worth checking the condition of wheel bearings, suspension springs and wheel balance, literally anything that can cause major vibrations at the front usually contribute to bulbs blowing. Too much condensation in headlights can cause electrical shorts and diminish the lifetime of bulbs rapidly, so it’s important to check if they’re getting too damp inside. Headlights are usually ventilated through the top and bottom of the unit through small holes or tubes usually found with a 90 degree bend to them. They’re designed to only allow a certain amount of air to flow in and out for heat dissipation but also to help reduce moisture in the lens. If the bulb covers on the back of the headlight aren’t mounted correctly or any seals have broken around the lens, then you can expect a higher amount of condensation in the headlight than normal. 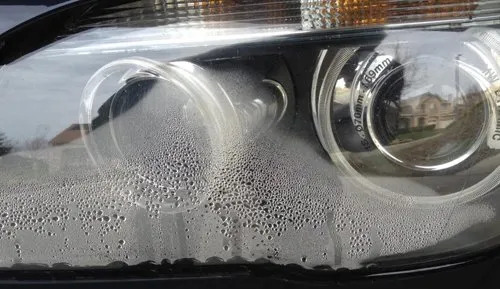 Some after-market ‘copy’ headlights are made so poorly that a large amount of condensation can be seen after just a couple weeks. It’s worth noting that minor condensation is perfectly normal, however when ‘pools’ of water form at the bottom corners it should be checked out ASAP. 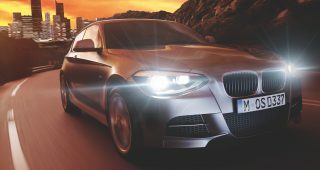 The staff here have their own experiences with after-market headlights and can safely say they’re a waste of time. For this reason among others, we only sell original (OEM) branded headlights due to wanting the very best for our customers. Have you had a really bad experience changing headlight bulbs? Let us know in the comments section below.